Starring Jessica Rothe, Israel Broussard and Ruby Modine. It was written by Scott Lobdell as his first screenplay. He has been known over the years however as a writer for various comic books for DC and Marvel alike and finally, directed by Christopher B. Landon, son of famous actor, Michael Landon who would be best known for his work as the father on Little House On The Prairie. Christopher however has made a name for himself as a writer penning the likes of Paranormal Activity 2 through 4 as well as The Marked Ones and was the writer and director for Scouts Guide To The Zombie Apocalypse. If I had a dollar for every time Blumhouse was able to release a film I can enjoy the hell out of with minimal to no complaints, I’d likely have a nice pile of cash locked away in a savings account and with their newest horror release of Happy Death Day, I can honestly and happily tell all of my readers that this is one film that you do not want to miss. 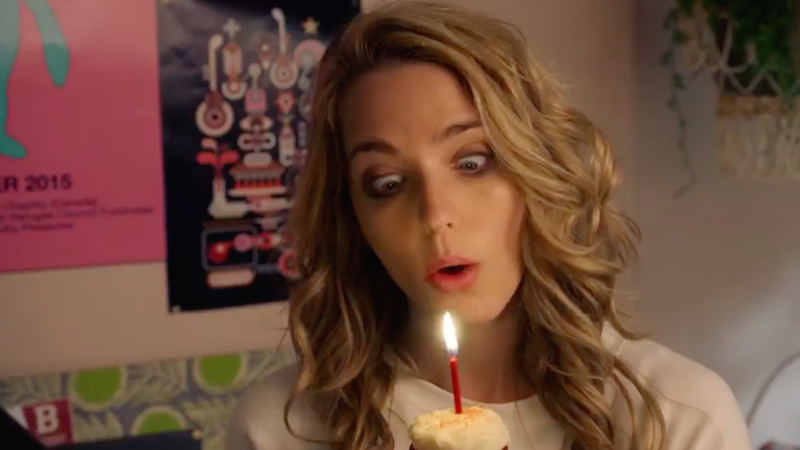 Whether you’re a fan of the genre or not, Happy Death Day is able to provide every viewer with something they can enjoy spanning from the obvious themes of horror as well as comedy, romance and mystery just to name a few. I can’t recall the last time that I had seen a film, which uses a premise that was visibly stolen from another film ( Groundhogs Day to be exact ) and was able to bring a new, interesting and fun spin to it all. I was concerned from the start that this was going to be a simple whodunit with a repeated backdrop and characters whose lines would slightly vary depending on how the lead would accept life coming into the new day but what was provided to film goers was nothing short of something amazing thanks to the fun little add-ons that we get to enjoy such as, and very, very slight spoiler alert here, an 80’s style montage which anybody who’s enjoyed a feel good movie from the 1980’s will surely be able to appreciate. From an acting standpoint, Jessica Roth’s portrayal of the snobbish Theresa or “Tree” as her friends refer her as, felt so believable that, I instantly could not stand her character and felt like there’s no way that they would be able to make her into a likeable human being by the films end but was happily proven wrong. Between the writing for the character and her acting abilities I was easily sold on Theresa’s ability the change the type of person she is in order to become someone the viewer can have compassion for, is able to get behind and cheer them on towards victory. It was also great to be able to play along with the movie in piecing together the mystery of who the killer actually is as they serve you up several different people with various motives in which you can choose from. For lack of a better term, it’s basically like playing a game of Clue but with the addition of twists and options a cinematic piece is able to offer as opposed to a board game. Without having to say it, I suggest that you check this one out. It’s light on the gore, so leaves a lot more to your imagination, keeps you on your feet throughout most of the film and really gives you a variety of things in which you can take away from it. Don’t be completely fooled however as there are some unrealistic and unbelievable things which do occur sporadically throughout the events of the film, but the rest of its positive features should keep you more or less happy about what it has to offer as a whole. 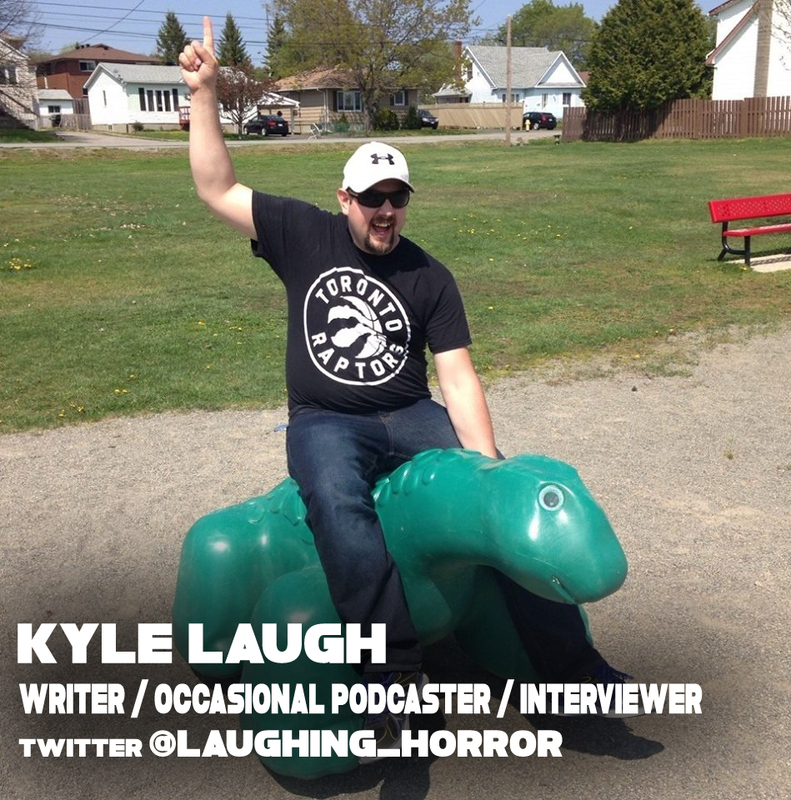 If you haven't already please follow kyle on twitter .